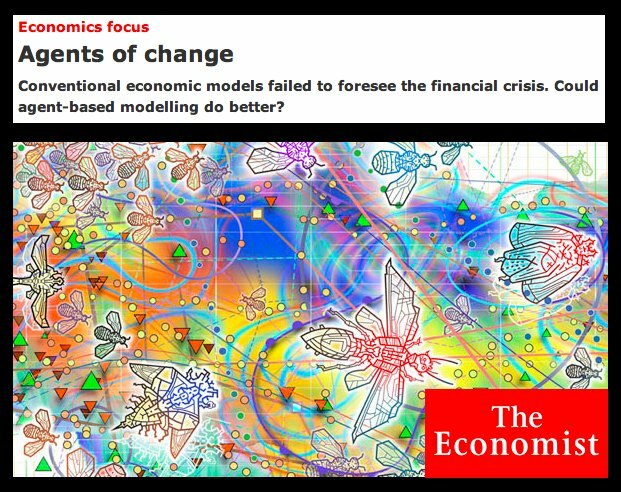 This week’s “economic focus” in the Economist highlights Agent Based Modeling as an alternative to traditional economic models and methods. As I am currently teaching Agent Based approaches to modeling as part of the ICPSR Introduction to Computing for Complex Systems, I am quite pleased to see this coverage. Indeed, the timing could not be better and I plan to highlight this article in the course!